Mychal Kendricks was cut by the Browns on Wednesday. 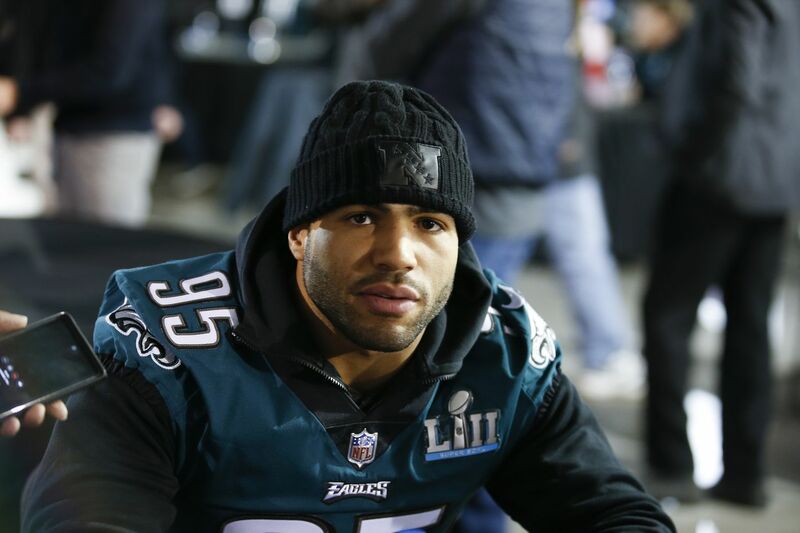 Mychal Kendricks' bad week just got worse. After being charged Wednesday with trading cash kickbacks, NFL tickets, and invitations to exclusive events for insider stock tips netting him roughly $1.2 million in profits, the former Eagle was released by the Cleveland Browns just months after being cut by the Eagles and signed by Cleveland. "Prior to signing Mychal, we were informed that there was a financial situation that he had been involved with in 2014. We were told Mychal had fully cooperated with investigators as a victim. From what was communicated at that time and based on the numerous questions we asked and further due diligence on our part, including checking with the league office, there was no information discovered that conveyed otherwise. "Recently, we were provided an update on the matter and the circumstances have changed. We are now dealing with a different set of facts and the additional information we've gathered has led us to the decision to release Mychal from our team. Due to the ongoing legal nature of this situation, we will have no further comments." Kendricks could face up to 25 years in prison for charges of conspiracy and securities fraud. Kendricks also faced scrutiny from Eagles' fans after HBO's most recent airing of Hard Knocks, when Kendricks gave a scouting report on the Eagles' offense, criticizing Zach Ertz's blocking and Halapoulivaati Vaitai's toughness.